How to Pass Style Me Girl Level 38, "Ethnic Catwalk," & Get 3 Stars Without Any Cash Items! | I Style Me Girl! How to Pass Style Me Girl Level 38, "Ethnic Catwalk," & Get 3 Stars Without Any Cash Items! 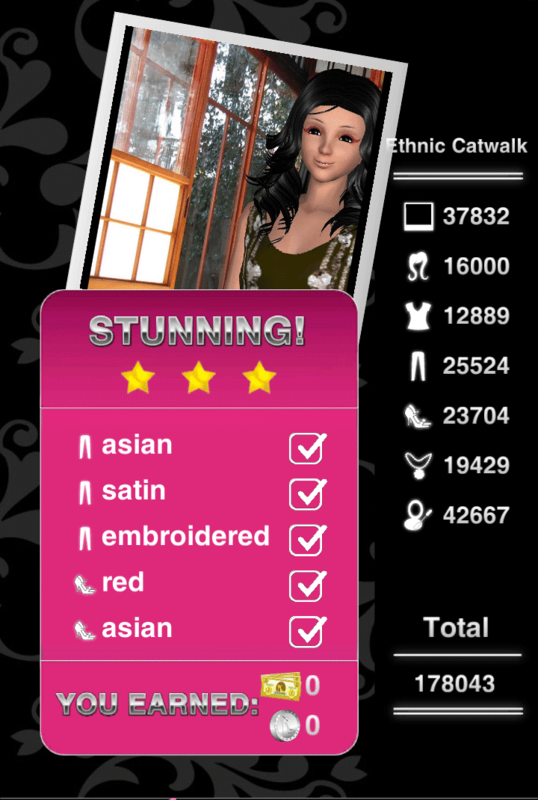 Style Me Girl Level 38, "Ethnic Catwalk," is an example that has stood the test of time. My earlier post for how to pass the level remains a good working method, however, I am still posting this update because there is always room for improvement, right? 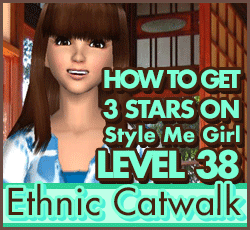 If you'd like to know a new & improved way to pass Style Me Girl Level 38, "Ethnic Catwalk," & get three stars without using any cash items, the details are in the full post! I am sticking to the style from my earlier post to keep things simple, with only small adjustments to improve upon it. Just how does this example improve upon the previous, might you ask? Good question, I am glad you asked! Well, to answer, it's been improved in a very simple yet highly beneficial way. I kid, I kid, but in all seriousness, another way this example is improved is because it is new, it verifies an updated/recent working method for obtaining three stars on Style Me Girl Level 38, "Ethnic Catwalk." 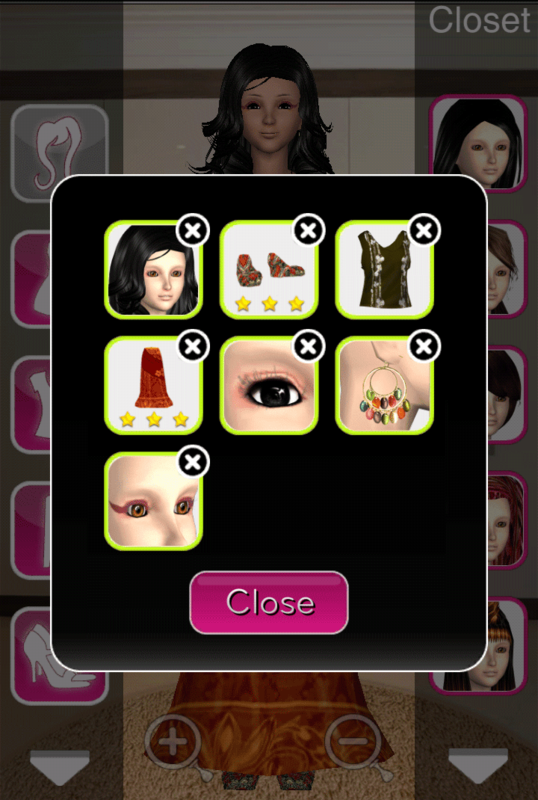 Now, without further delay, the items needed to earn 3 stars on Style Me Girl Level 38, "Ethnic Catwalk," in this example are pictured and described in the list below. The "Closet Items," screen capture image at right can be clicked to enlarge if you'd like a more detailed view. The "sequined" top only costs 38 coins.